“A slippery customer, the Holy Spirit”, so remarked someone in (a very interesting) conversation the other day. I suspect what he meant by this was that there is a lot of uncertainty and confusion, not to to say disagreement, over what is, or should be, the ‘normal’ experience of the Spirit in a Christian’s life. By ‘normal’ I mean the type of Christian life described in the NT. For much of the past century, disagreement has tended to centre on those who hold to some form of two-stage experience of the Spirit (primary reception of the Spirit at conversion, followed by some sort of deeper or higher or second-level experience of the Spirit subsequent to conversion). Two-stagers most famously include classic Pentecostal pneumatology around ‘baptism in the Spirit’, but also forms of Wesleyan and ‘higher life’ holiness theologies. J I Packer’s landmark Keep in Step with the Spirit engaged in depth with these sorts of debates in the 1970s from a Reformed viewpoint. Maybe I’m wrong, but my sense is that the discussion around ‘two-stage’ reception of the Spirit has lost momentum. Yes, scholars like R P Menzies have produced robust defences of Pentecostal normative two-stage Spirit reception. But increasingly I get the sense that even within classic Pentecostal denominations and churches that there is a softening / moving beyond older set positions. A number of factors may be in play here. One might be the increasing diversity of a post-denominational age where strong identity markers (like speaking in tongues and baptism in the Spirit) are just not so important any more. But perhaps there is increasing scholarly consensus that the exegetical basis of a classic Pentecostal two-stage Spirit reception, has, over time, become increasingly unsustainable. Don’t get me wrong – I have a lot of respect for Pentecostal spirituality – its immediate sense of God, vitality of worship, expectation of answered prayer, passionate evangelism, emphasis on all members using Spirit given gifts in service … But none of these good things need to be tied to a two-stage pneumatology. One of the key figures in this debate among others has been Jimmy Dunn. In a new book of articles in honour of Max Turner of London School of Theology, The Spirit and Christ in the New Testament & Christian Theology, Dunn has an excellent chapter on ‘”The Lord, the Giver of Life”: The Gift of the Spirit as Both Life-Giving and Empowering’. This rich picture is of a dynamic life, of living water (not a stagnant pool). This is the normative Christian experience, a made possible and sustained by the empowering and soteriological Spirit. All this means there is no need to develop artificial two-stage theologies; what Dunn calls a sort of ‘booster rocket’ theology. All Christians are given this dynamic and empowering Spirit to drink (1 Cor 12:23). And this means that in John’s Gospel, it does not hang together to say that the disciples had drunk the Spirit during Jesus’ pre-resurrection ministry. In John 7:39, the giving of the Spirit was to be a future event. The disciples had NOT been ‘born again’ already – they receive the Spirit in Jn 20:22 in the context of being commissioned for mission. In Luke’s volume of Acts, the Spirit’s empowering and saving (life giving) functions are inseparable. Luke describes this in a wide variety of ways but the fact is that there is NO second action of the Spirit on believers. And in relation to the controversial and contested case of the Ephesian disciples in Acts 19, Paul’s question to them “Did you receive the Holy Spirit when you believed?” assumes that the life-giving Spirit is the gift given following belief. There is no life before receiving the Spirit. This is contra Calvin who argued that the Ephesian disciples were ‘regenerate’. This emphasis is not only persuasive biblically, but it helps move the discussion on to where it really matters – not a two-stage normative experience or not (who is ‘in’ and who is ‘out’), but a focus on the good news of the empowering and life-giving Spirit given to all as a gift of grace to all who believe in the Lord Jesus Christ. And the expectation and possibility of a subsequent life ‘filled with the Spirit’. Good post. I still wish we were more open to the presence and power of the Spirit in our lives. I think we should be laying hands on people and healing them, or attempting to do so in the power of the Spirit. Why is it that so much in the New Testament has seemed all but lost for so many of us, so many Christians both now and over the centuries? One of the privileges I have is to teach a degree course on Pneumatology. 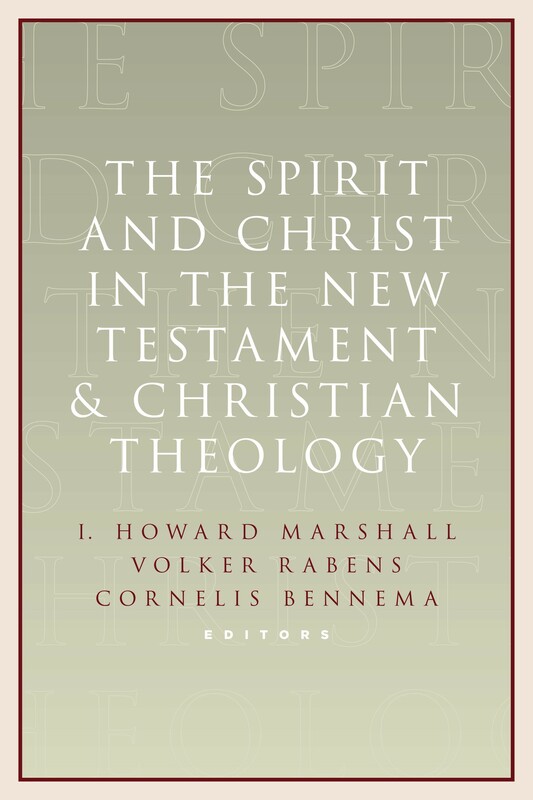 The more I’ve studied the more obvious it becomes how absolutely central the person and work of the Spirit is, not only to the beginning of the Christian life, but to the entire Christian existence, individual, corporate, present and future and within the narrative of Scripture. Growing up, I understood about committing my life to Jesus and being justified by faith, but there was little theology of the Spirit (even though you can’t have a theology of justification without the Spirit!). A key thing is teaching, training, recapturing what Scripture says – and a heartfelt desire to know more of God. With the massive growth of Pentecostalism and renewal movements, I think we have much to learn from each other. But it is not a one-way process, there are faults and weaknesses among all of us. The Spirit is not limited to one branch of the church – he is where there is life.